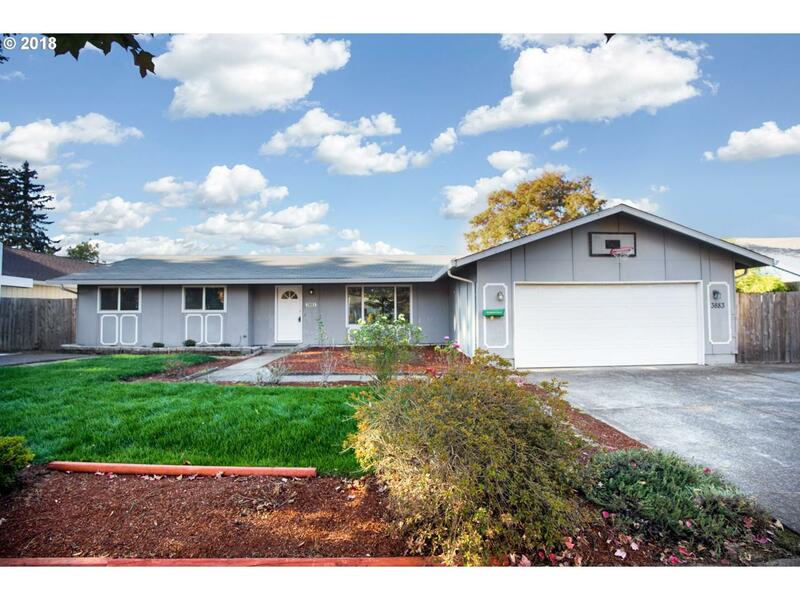 Great move-in ready, West Eugene home! This house is for everybody; first-time buyers, downsizers and more. From the abundant natural light pouring in from every room to the laminate wood floors, stainless steel appliances and multiple living areas, you'll be crossing everything off of your "wish list!" The exterior offers meticulous landscaping, RV parking, garden beds, bbq area, and spacious deck for outdoor entertaining. A must see!